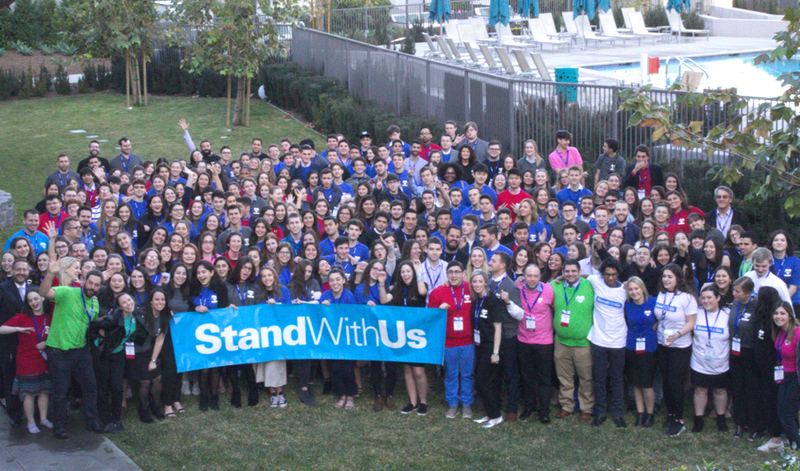 This January, I traveled to Los Angeles, California to attend and staff the StandWithUs Israel In Focus International Conference. As the Midwest Campus Liaison, I act as a mentor to StandWithUs Emerson Fellows on college campuses across the central United States. My job is to educate students about Israel and to empower them to stand up for Israel in their communities. By the end of the conference, it would be my students who educated and inspired me. We heard from amazing speakers who spoke on a variety of subjects. One of my favorites speakers was Rabbi Dov Lipman, former Member of Knesset. He taught us about Israel’s international humanitarian efforts, specifically, the work of an organization called Innovation Africa. This volunteer group seeks to bring Israeli technology to struggling villages across the African continent. I always knew that Israel was doing much to help the world, but to hear Rabbi Lipman describe the amazing work, and share photos and videos of the missions, made this truth ever so real. In one video, students in a rural school sang songs thanking the Israeli volunteers. This was emotional to see, especially knowing that I was there supporting this amazing mission. As a staff member, I helped facilitate several breakout sessions with high school and college StandWithUs interns. I talked with nearly all of the 50 students from the Midwest, as well as students from other regions. Together we discussed various views on Israeli political issues. Nothing was off the table. I was inspired to hear the students share all of the various reasons they supported Israel. Being from Israel originally, and growing up in a largely Jewish community, I never knew the scope of international support for the small Jewish country. Conversations with students and speakers at the conference further emphasized to me that support for Israel is not a partisan issue and not only a Jewish issue. It was incredibly powerful that people of all backgrounds from across the world came together in Los Angeles seeking to become more educated and to defend Israel. I hope to continue learning more so I can continue to teach and inspire others about Israel! Eitan is a senior at the University of Illinois at Urbana-Champaign studying Organizational Psychology and Leadership Studies.